The ECHO 58V Cordless Chain Saw is the most advanced, professional grade high voltage cordless Chain Saw in the industry. Featuring a unique brushless motor designed to deliver superior power, run time and durability, the ECHO Chain Saw delivers cutting speeds comparable to gas powered chain saws. Equipped with a 16 in. bar and chain the ECHO Chain Saw is designed for larger, more aggressive cutting. With side access chain tensioning, adjustments are quick and easy. For ultimate convenience, the Chain Saw features an automatic oiler, wrap-around handle and on board tool storage. The Chain Saw, Battery and Charger are all backed by an industry-leading 90-day money-back guarantee, a 5-year consumer warranty and a 2-year commercial warranty. The EGO Power Chain Saw truly delivers Power Beyond Belief. The 16-inch bar and chain, combined with a hi-efficiency brushless motor provide smooth cuts. The brushless motor extends the life of the tool and the run time. The advanced EGO POWER+ 56V battery uses industry-leading Arc-Lithium technology to deliver Power Beyond Belief and is compatible with all EGO POWER+ products. The EGO POWER+ Chain Saw delivers the performance of gas without the noise, fuss and fumes. 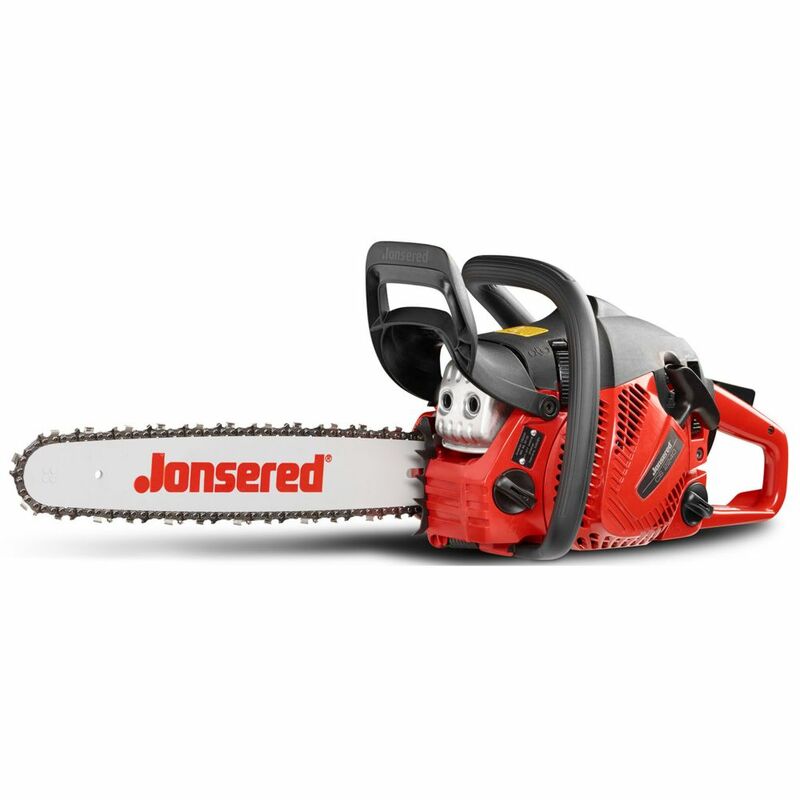 40.9cc 16 inch Gas Chainsaw, CS2240 is rated 4.3 out of 5 by 3. Rated 5 out of 5 by Mike from Great chainsaw. Started right up. Nice external chain adjustment.... Great chainsaw. Started right up. Nice external chain adjustment. Rated 4 out of 5 by Ron from Saw seemed to work really well initially, but after a... Saw seemed to work really well initially, but after a while the chain started binding. Found that the nut holding the bar on was loose and working it’s way off. This was all in the first 2-3 hours of using it, on the first day. After Re-tightening, saw was working well again.